(You may need to add QuickTime:http://www.apple.com/quicktime/ to enable 90 second preview to your computer). 1. 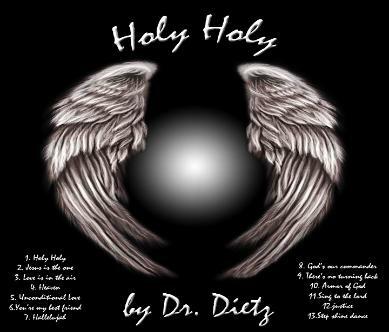 Holy Holy (3:11) Ten Commandments Come to life in the sounds from the African outback. 2. Jesus is the One (4:44) The heartfelt soulful song that says; YOU ARE NOT ALONE! the entire world! HE will right all the wrongs and bring justice and will rule and reign forever! Copyright patent Services. Member ASCAP and BMI.